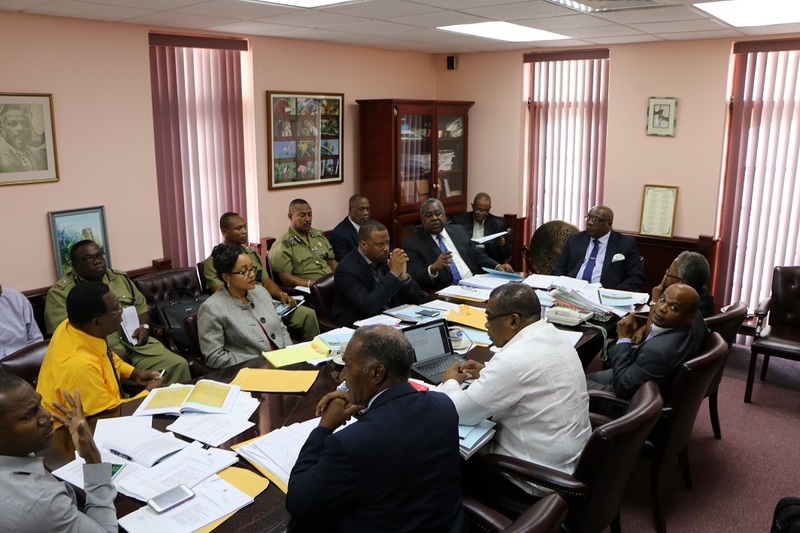 Basseterre, St. Kitts, January 07, 2016 (SKNIS)—The High Command of the Royal St. Christopher and Nevis Police Force (RSCNPF) met with the Federal Cabinet on Wednesday January 06, 2015, to discuss the RSCNPF Strategic for 2016-2019. 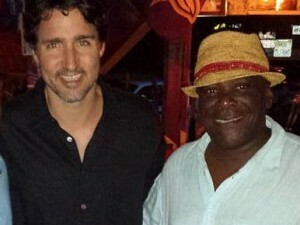 The Cabinet was chaired by the Prime Minister and Minister of National Security, Dr. the Honourable Timothy Harris. The four year Strategic Plan (The RSCNPF Improved Service Delivery Plan 2015-2016 and 3 year Strategic Plan 2016-2019) comes on the heels of the implementation of the Six-Point Action Plan which was developed by the High Command in July 2015, as the Police Force continues its efforts to prevent, reduce, detect and solve crime in the Federation of St. Kitts and Nevis. “It also has to demonstrate a new level of thinking, textured sensibility and an understanding that business ought not to be usual. Commitment and accountability will be inherently built into the whole process of performance and service delivery,” he said of the Police Force. Mr. Liburd said that in devising the four year Strategic Plan, the RSCNPF made a concerted effort to engage all staff and stakeholder groups in the process. This was done he said by extensive consultation through town hall meetings, and that feedback from these meetings has been built into the document. “Despite challenges, particularly those related to dealing with incidents of violent crime, in particular that of armed robberies, homicides and other non-fatal shootings, the RSCNPF has fully engaged with the Strategic Plan and its associated processes in order to bring it to life,” Mr. Liburd said. As Prime Minister and Minister of National Security, Dr. Harris said that the Cabinet accepted in principle the RSCNPF Strategic Plan 2016-2019. He said that the structure of the Police High Command has been a major topic for national debate. The Minister of National security explained that over the last five months the Police has had assistance from the Bramshill Policing Advisers out of the United Kingdom and that a new organizational framework has been under consideration, which distributes the administration of the Police Force under four directorates: Service Improvement, Crime, Operations and Administration, Resources, Technology and Intelligence (ART&I). He said that the ART&I Directorate is a totally new and innovative administrative initiative. Dr. Harris pledged that his government through the Ministry of National Security will continue to provide the Police with the resources and continue to implement strategies to ensure that St. Kitts and Nevis continues to be a safe place to live, work, visit and do business. “The concerns and needs of residents, students, tourists and other visitors, businesses and vulnerable people in the Federation will be identified through ongoing public consultation, and these will be considered in decision making as the Ministry collaborates with other stakeholder agencies in government, NGO’s and the private sector to invest its resources and ensure that effective and efficient criminal justice practices are pursued,” Dr. Harris said. Present at the Cabinet meeting were Acting Commissioner of Police, Mr. Stafford Liburd; Assistant Commissioner of Police Responsible for Crime, Mr. Ian Queeley; Assistant Commissioner of Police Responsible for Operations, Mr. Vaughn Henderson; Divisional Commander of the Nevis Division, Mr. Hilroy Brandy; and Permanent Secretary in the Ministry of National Security, Mr. Osmond Petty.